My father was blind, which makes the topic of disabled access dear to my heart. As a kid, I had to learn not to do things like leave things in the floor for him to trip on, so I'm naturally more aware of the ramifications of limited access and how much sighted people take for granted. Have you ever stopped to think about what it would be like to not be able to see a website, though, or use a mouse to navigate a site? Or what you have on your site that could, in effect, trip someone up? About 8 million people in the US are blind or have a significant vision impairment, making it difficult or impossible for them to see your site. Another 20 million people have difficulty lifting or grasping, which can affect their ability to use a mouse or keyboard to navigate. 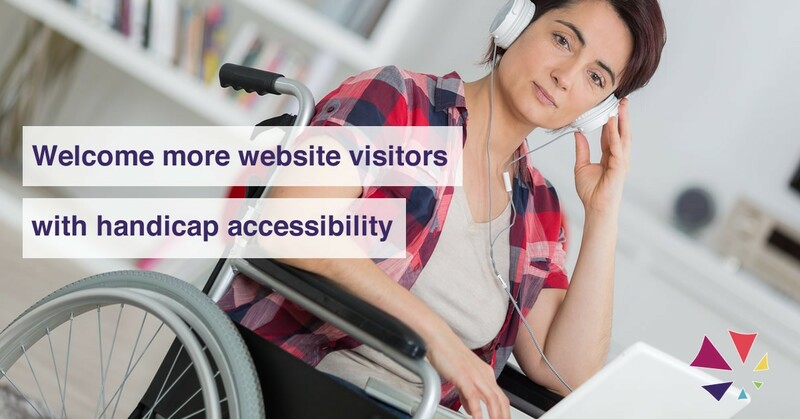 Recently I had a feature about accessible websites in Collective Hub magazine, which is sold in print in 37 countries and digitally worldwide. It's a short article and just an intro into basic things you can do, but these techniques also affect your website's search engine optimization (SEO). You can read it here. test your site for color-blindness. The importance of accessibility can vary widely according to your target audience, but even if you don't incorporate advanced techniques as in the bullet list, everyone should cover the basics. You're helping website visitors while helping your own SEO, and the basics in the article aren't difficult or expensive. They're actually best practices for any website, so ignore them at your own peril.